But nobody noticed during the decades before 1981 or for a decade more after 1985. Nobody noticed that tens of thousands of Irish women were being routinely interned without trial. Left tortured thereafter with life-long PTSD, layered over with grief for their lost infants. Nobody noticed. Stunning isn't it? And we all thought we were so human rights aware! So, watch out for us because you may not notice us. We are your aunt, your sister, your cousin, your daughter. Most of us, even today - are silent about what happened to us. We were coerced into being that way. We learned who we are. We learned it too well. But, we are Invisible Women No More! We are speaking out. Standing up. Demanding Justice, Truth, and Redress. 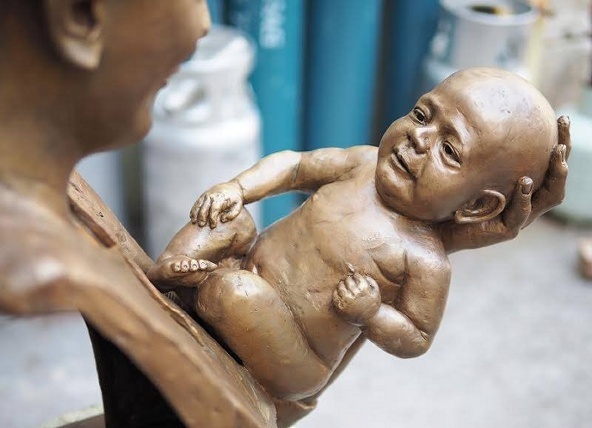 'Mother & Child - Cherished' by Andrew Poppleton. Unveiled on St Partick's Day. 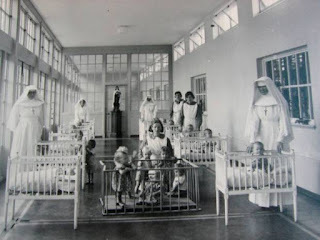 On St. Patrick's Day, former Premier of Victoria, Ted Ballieu and leading Australian lawmakers sent a message to Irish legislators about Mother and Baby Homes. 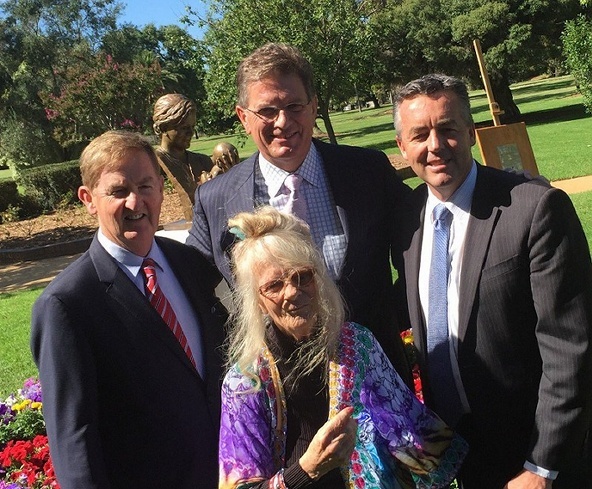 They stood in solidarity with our sister group; with our Australian mothers' rights campaigner, Brenda Coughlan, to unveil a statue honoring the special bond between mother and child. 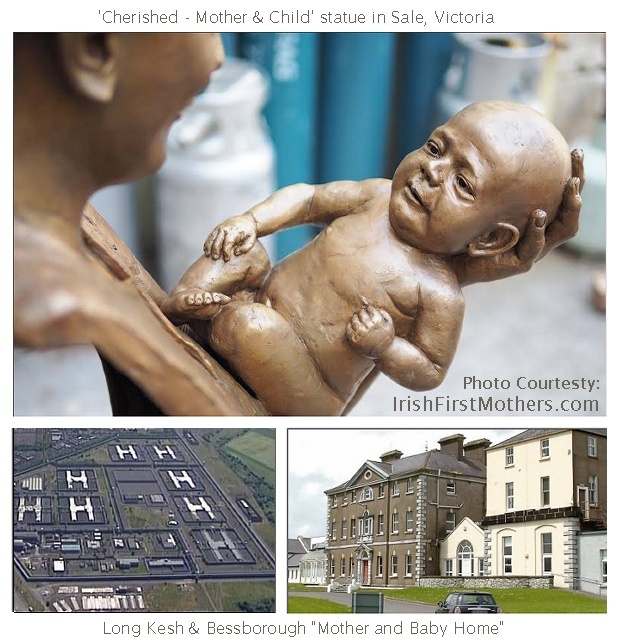 St. Patrick's Day was chosen for the unveiling to send a message to Ireland that the mother and child bond is sacred. Former Deputy Premier of Victoria, Peter Ryan; Former Premier of Victoria, Ted Ballieu; Hon. Darren Chester, a Commonwealth Minister representing Australian Prime Minister Malcolm Turnbull. 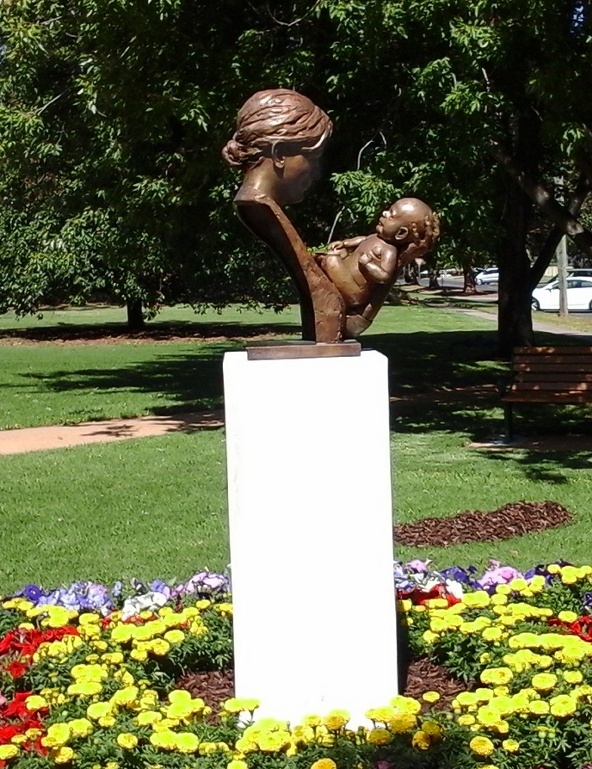 In Victoria Park, Sale, Victoria, Australia. ​Front: Brenda Coughlan, Spokesperson for Independent Regional Mothers. 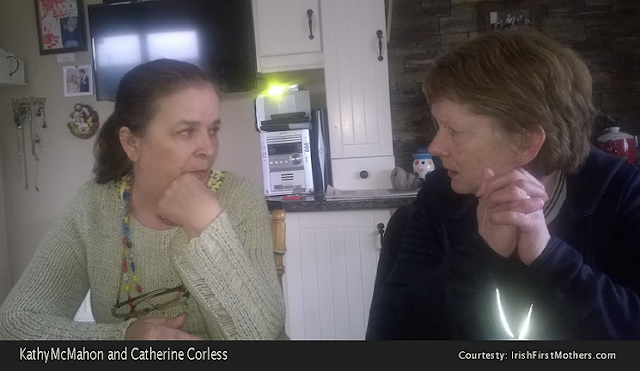 Brenda Coughlan earned the respect of Victoria's legislators due to her ability to lucidly illuminate the reforms needed after decades of illegal coercion of single women during pregnancy. [Watch below] Attending the St. Patrick's Day ceremony was former Victoria Premier, Ted Ballieu - who in 2012 made a formal apology on behalf of the Victorian Government for incarcerations, medical abuses and forced adoptions carried out in the 1950s, 60s and 70s. 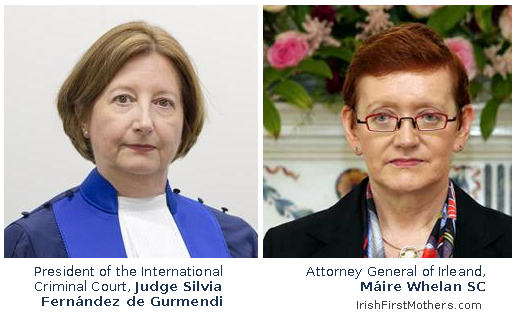 ​Victoria's forthright embrace of reforms has led the world - thanks in good measure to the work of ​Brenda Coughlan - who calls on Irish legislators to support the Irish First Mothers campaign for truth, justice and redress.